Members of the Colorado Snowsports Hall of Fame class of 2017 included, from left, Chris Diamond, Diane Boyer, Walt Evans, Chris Davenport and Dave Stapleton. The Hall of Fame's annual gala is Saturday, Oct., 6 in Vail. VAIL — The Vail Marriott Mountain Resort will host the Colorado Snowsports Hall of Fame Induction Gala on Saturday, Oct. 6. Each year, the event honors individuals and organizations that have played significant roles in the development and promotion of skiing and snowboarding throughout Colorado. Inductees are nominated and selected based on their contributions as an Athlete, Sport Builder, Inspirational or Pioneer. Tickets for the Gala are now on sale, with reserved individual tickets priced at $325, while tables for 10 are available, starting at $3,750. A $250 general individual ticket option is also available, but does not include seating location preference. To purchase tickets or for additional information, email halloffame@snowsportsmuseum.org, go to the Colorado Snowsports Museum website, or call 970-476-1876. All proceeds from the Hall of Fame Gala will benefit the Colorado Snowsports Museum. The 2018 Hall of Fame class will feature five individuals, including Vail adventure ski film icon Chris Anthony. He will be joined by the late Bob Dart, former Director of Mountain Maintenance for Winter Park and founder of the Winter Park Ski Education Foundation; former U.S. Ski Team coach and Ski and Snowboard Club Vail board member Brad Ghent; and Steamboat Springs’ Lonny Vanatta, the top American on the U.S Pro Tour in the early 1980s. These four new inductees will be joined by the 2018 Pioneer Hall of Fame selection, Moe Mosley, the co-founder of the Over the Hill Gang Ski Club for senior skiers. The evening will also celebrate the recipients of the Hall of Fame’s Annual Recognition Awards. This year’s honorees will include longtime Colorado Snowsports Museum Executive Director Susie Tjossem (Lifetime Achievement Award); the past and present 10th Mountain Division (Top of the Hill Award); the 10 Colorado 2018 Olympic and Paralympic medalists (Competitors of the Year Award); Aspen’s Andrew Kurka (Adaptive Athlete of the Year) and Collegiate Skiers of the Year Amelia Smart (University of Denver) and Ola Johansen (University of Colorado). 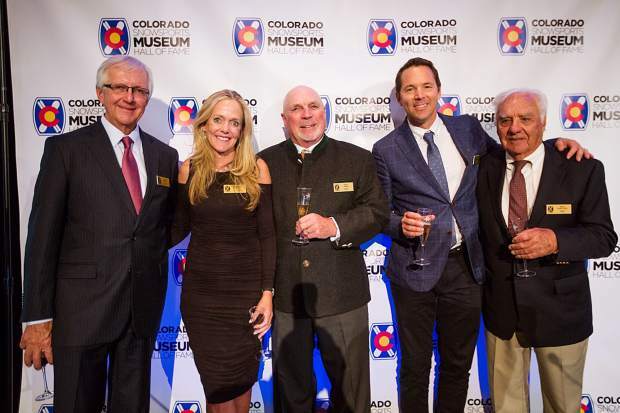 For additional information on the Colorado Snowsports Museum or Hall of Fame Gala, go to http://www.snowsportsmuseum.org.